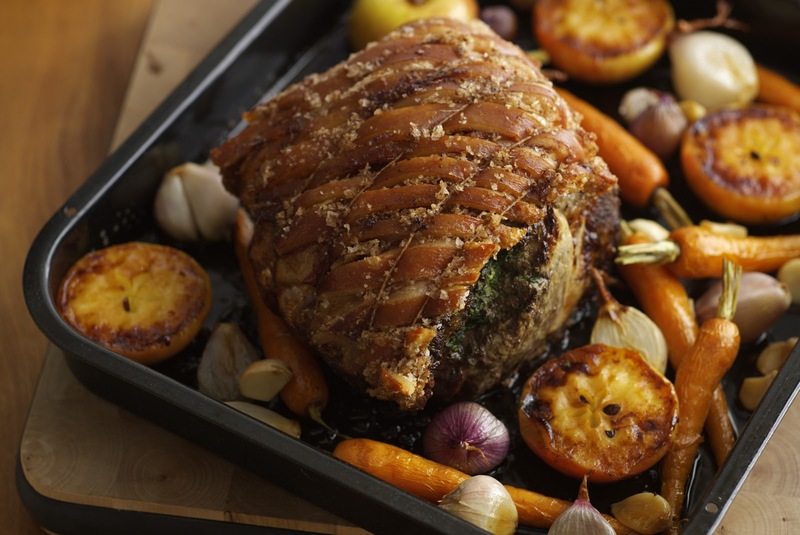 Packington Free Range produce quality free range pork and poultry. At Packington Free Range, they have a simple philosophy: what’s good for the animals and the land will naturally be good for them and better for their customers. It’s this simple philosophy that enables them to produce the most succulent, richly flavoured meat, often lost in today's intensive farming methods. Packington's have an award winning animal welfare ethos supported and accredited by the RSPCA. Packington Free Range have some delicious recipes on their website and they've kindly allowed me to share this one with my readers. Enjoy! end of cooking time, skim off most of the fat and then scatter the remaining garlic cloves, shallots and carrots around the pork. Sprinkle over sugar and continue roasting for a further 30 minutes. Add the apples and continue roasting until when the pork is pierced with a knife the juices run clear and apples are caramelised. Remove the pork from the oven and transfer to a warm serving plate. Cover with foil and allow to rest for 20-30 minutes. Using a slotted spoon transfer the vegetables and apples to a warm serving plate, leaving a few cloves of garlic to crush into the pan juices. Keep warm. Skim most of the fat from the roasting pan and discard. Scrape the meat juices in the pan together and mash in the garlic. Place over a low heat and blend in the cider and mustard. Bring to the boil and continue boiling gently, stirring occasionally until reduced slightly. Season to taste. Serve the gravy with the pork and vegetables.